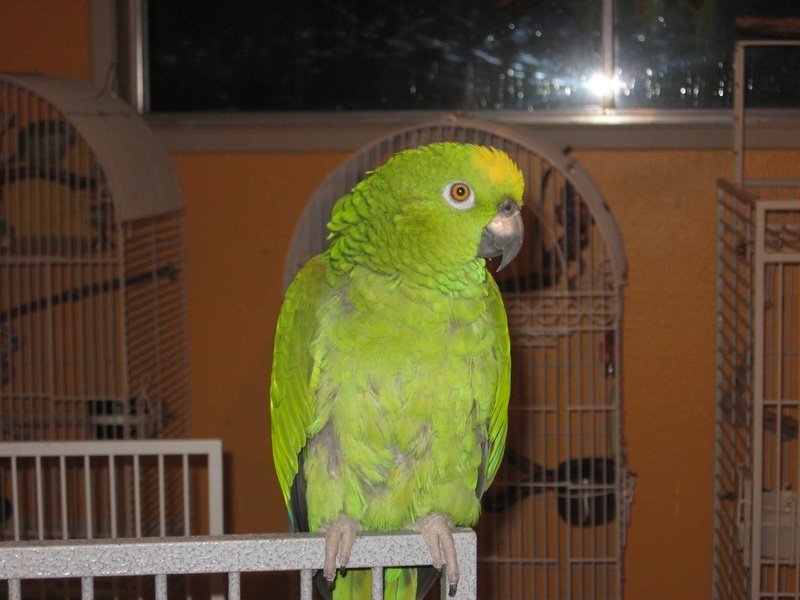 I am a sweet and onery yellow fronted amazon. I am quite the talker, and like to sing a little bit too. I am 16 yrs. old. I will greetyou when you come to my home, I love visitors, that is if I am not sitting on eggs.